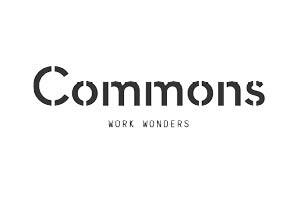 Commons is a fully-serviced coworking lounge. Complete office amenities within an informal and trendy lounge setting makes Commons the perfect environment for creative and professional excellence. Our vibrant and diverse community offers exposure to like-minded people from all industries. Commons Unirii is located in the heart of downtown Bucharest on one of the city’s most central and prominent squares. Steps away from Unirii Subway Station, the lounge is easily accessible from all over the city. Situated on the edge of the Old Town, Commons is surrounded by many of Bucharest’s coolest bars, restaurants and cafes, making it the ideal location for your business lunches and post-work social activities. 9-5 working hour days are a thing of the past. At Commons we do everything to support intense work hours and maximum flexibility. With your personalized access code you’ll enjoy 24-hour access to the lounge. Host clients, pitch to investors and hold team meetings in smart equipped meeting rooms. connectivity to high-speed servers, dedicated Cisco Meraki fiber optic lines and backup circuits. calls in sound-insulated booths, undisturbed and undisturbing. Colombia and Guatemala, hand-roasted here in Bucharest. Everyone hates the printer! Not at Commons though. The latest Toshiba printer combined with Ezeep software provides a seamless connected printing experience. Some things are best kept in the office. No need to drag your stuff to and from work every day. Store it all away safely in personal lockers.